It’s Friday the 13th! Normally that would freak me out, except yesterday was SO weird for me that I figured today couldn’t be any worse ;). I got up early after not sleeping well, got in the car and proceeded to spill a HUGE mug of bulletproof coffee all over my passenger seat, was late to work because of (worse than normal) traffic, and then bit my tongue SO HARD while trying to scarf down a luna bar for breakfast. That was all before 8 am, and the day proceeded to get weirder and weirder. 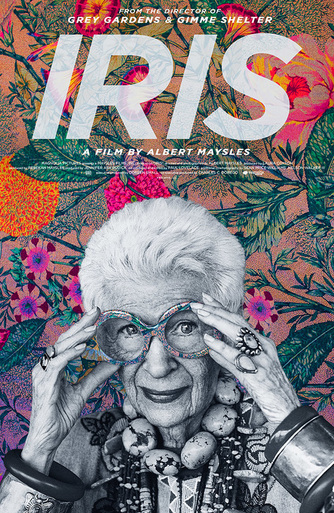 Last night, Blake fell asleep and I finally watched a documentary on Netflix called Iris, by Albert Maysles. I’ve been wanting to watch it for a while, and the makeup artist at my job yesterday reminded me of that. 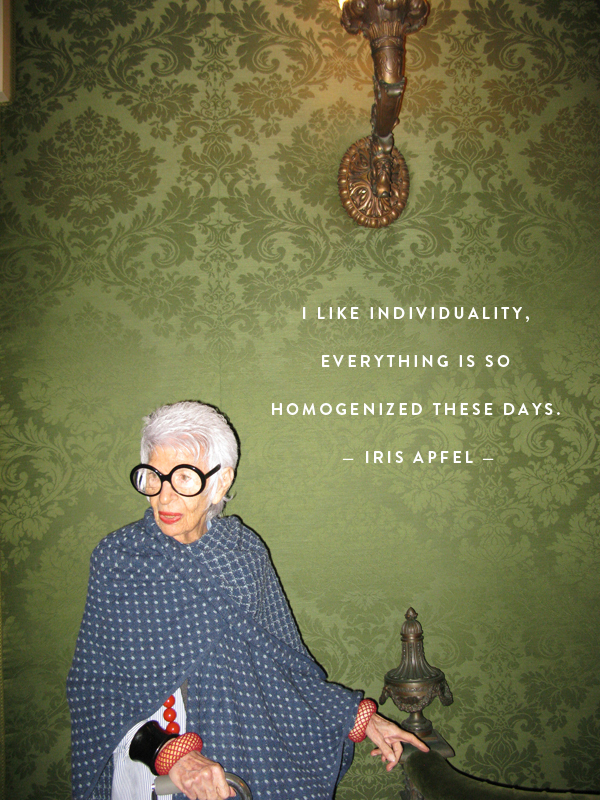 It’s about Iris Apfel, a 94-year-old fashion icon who is known for her style and collections in fashion and interior design. She’s such a fascinating woman and SO inspiring. The three things that struck me most while watching the documentary were her incredible style (of course), her adorable relationship with her husband, and her sense of self. She is so sure and confident in who she is, which has allowed her to achieve so much in her life. I won’t go into too much detail here, just go watch it! I added a new ring to my daily bunch, and I love it! It’s from Blydesign, and my favorite part about it is the crazy cool color of the labradorite stones. I also love that it’s adjustable, so I can switch up what finger I want to wear it on! 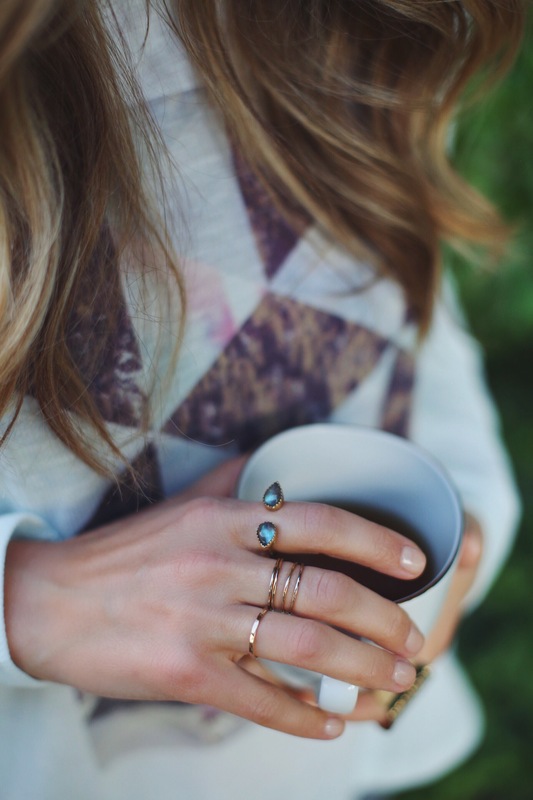 You can shop this handmade ring (and others!) here ;). I’ve been wearing this shirt from Stillwater a lot lately – it’s business in the front, party in the back ;). I love that it’s casual and comfy with a little extra flare. And more to come on these boots next week, but they’ve been my absolute favorites lately. And because the holidays are coming, and therefore holiday guests, you HAVE to watch the video below, “Company is Coming”. Our friend Carly showed us the other night, and I was laughing so hard I was crying. If you are anything like me, or your childhood was anything like mine, you’ll get it, too! Thanks so much to everyone who entered, I loved reading your comments and am honestly inspired by your fitness goals! I seriously wish I could give each one of you an iFit, but my number generator says the winner is Kari Bennett :). Kari, please fill out the contact form at the bottom of this page with your name and email so we can get your Vue to you, congrats!